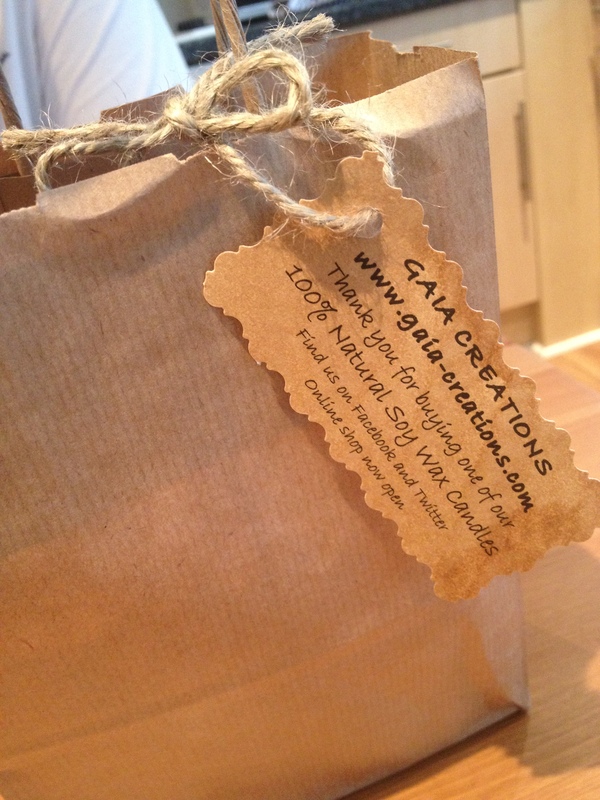 While I was walking round the farmers market in Rochester a couple of months back I stumbled across the guys from Gaia Creations. As a total candle-holic, I was immediately drawn in by their selection of candles and wax melts that smelled amazing! 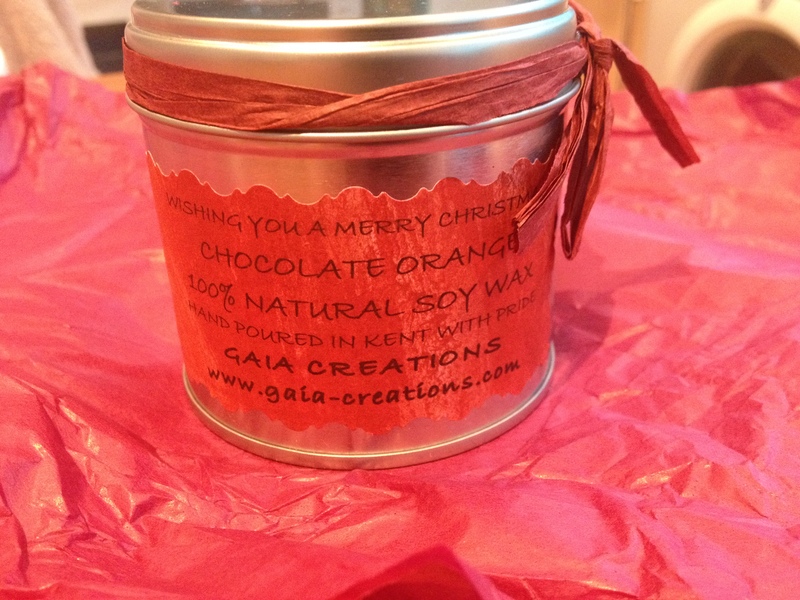 This month when I went back I got the chance to chat to them a bit more and I even splashed out on one of their Chocolate Orange Flavoured tinned candles – it smells good enough to eat and is part of their christmassy smelling selection. Sustainability and environmental responsibility is something that is close to my heart so when I looked up about them on their website – which you can find here – I was pretty impressed. Axel and Ricky have made a real commitment to safeguarding the environment and being socially responsible. They use recycled materials where they can, avoid un-necessary packaging, they’re striving to create a 100% natural product, they want to support environmental charities as they grow and have lots of other projects in the pipeline. I think it’s great when they are doing, how they are working to make the world a better place doing something they love and the candles themselves are lovely! If you’re interested feel free to check them out or support them on Facebook.